Administrator of bankrupt Transaero seeks to collect Rub 81M from company’s founder family | Russian Legal Information Agency (RAPSI). 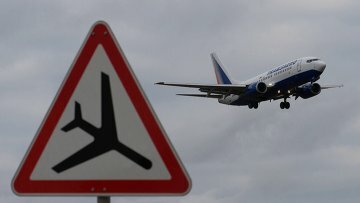 MOSCOW, February 28 (RAPSI) – Alexey Belokopyt, the bankruptcy supervisor of Transaero air carrier, has lodged a claim seeking to recover 81 million rubles (about $1,2 million) from the company’s ex-founder and his family, an order of the Commercial Court of St. Petersburg and Leningrad Region reads. The supervisor asks the court to quash the transactions related to the payment of Transaero dividends in 2013, return the funds plus interest to the bankruptcy estate charging the money from the former founder of the company, his mother, wife and two daughters. Earlier, Sberbank of Russia has asked a court to relieve Belokopyt of his duties as the Transaero bankruptcy supervisor because of his, as the bank believes, unlawful actions.